Although there’s some dispute as to where the croissant was invented, it’s become an iconic symbol of Paris. Or at least of Paris bakeries. The most popular story claims that croissants were invented in Austria, during (or after) a period of conflict with Turkey in the 1600s, whose symbol is a crescent. And people were happy to bite into, and chew, a pastry representing their nemesis. Food everywhere is wrapped up in lots of “who made what,” and there are endless discussions about what belongs to whom, who made it first, who makes is better, who is allowed to claim it, and who has permission to use it. (And so far, I haven’t seen any signs of an international organization overseeing all of that.) So depending on who you believe, it may have been the Austrians, the French, or another butter and pastry-loving country. But it’s hard to imagine Paris without croissants. One thing that often surprises people who don’t live in France is that no one would make his or her own croissants. That said, I am sure there are a handful of people in this country of 66 million that make their own croissants. But me? I’m happy to be able to amble down the street, for a single euro, get a pretty decent croissant from a local baker, where they’re stacked high in the morning, ready for the crush of customers, racing in for a warm croissant, fresh from the oven, to snack on with their morning coffee. Yet one thing you don’t find are croissants made with whole wheat flour, which gives the flaky pastries a slightly nutty taste. That earthy edge takes away any guilt (although croissants aren’t as rich or sinful as some people think; these croissants are just shy of a couple of tablespoons of butter per pastry), and it’s fun to surprise people with something different in the bread basket. Once I got started making croissants at home, it was hard to stop. And I made three batches last week, surprising my friends with bags of freshly made croissants. Making croissants isn’t difficult at all and if you can use a rolling pin, you can make croissants. There is bit of waiting time between turning and folding the dough, but let me tell you, nothing is more gratifying that the smell of cooking butter filling the kitchen while your croissants bake. (I sometimes think those bakeries in the Paris métro stations have the smell of butter pumped into the stations, to boost business.) But even better, pulling out a baking sheet of fresh croissants is one of the few thrills in life. If you’re anything like me, you will hardly be able to control yourself if you have a tray of puffed up, just-baked pastries in front of you. And you have my permission to go ahead and rip into one because if you don’t eat a croissant while it’s warm, perhaps with an additional swipe of good butter and some homemade jam, you’re missing out on one of the great pleasures in life. Making croissants isn’t hard; one just needs to follow the steps, which are 1) Make the yeasted dough day in advance and let it sit overnight, 2) The next day, make 3 “turns” of the pastry at various intervals, then 3) Shape, proof, and bake the croissants. The most important thing is not to let the butter get too soft. 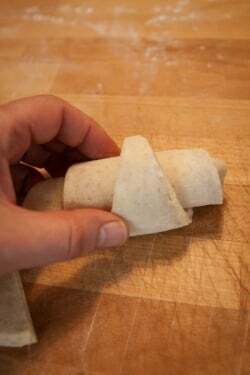 So when rolling and folding the dough, work quickly to get it back in the refridgerator.I’ve posted notes at the end of the recipe that might answer some additional questions, including questions you might have about the flour. 1. In a small bowl, mix together the white and whole wheat flours. Prepare the dough by mixing the yeast with the milk and sugar in the bowl of a stand mixer, or stir it together in a large bowl. Stir in about one-third of the flour mixture and let the mixture stand until it starts to bubble, 10 to 15 minutes. 2. Mix in the rest of the flour and the salt, and stir until all the ingredients are combined. Knead the dough on a lightly floured countertop a few times, just enough to bring it together into a cohesive ball, but do not overknead. 10-15 seconds should do it. 1. Put the cold butter in the bowl of a stand mixer with the paddle attachment and beat on medium-high speed until there are no lumps in the butter, about 15 seconds. (If you don’t have a stand mixer, whack the butter with a rolling pin, turning it a few times, until it’s a cold paste.) 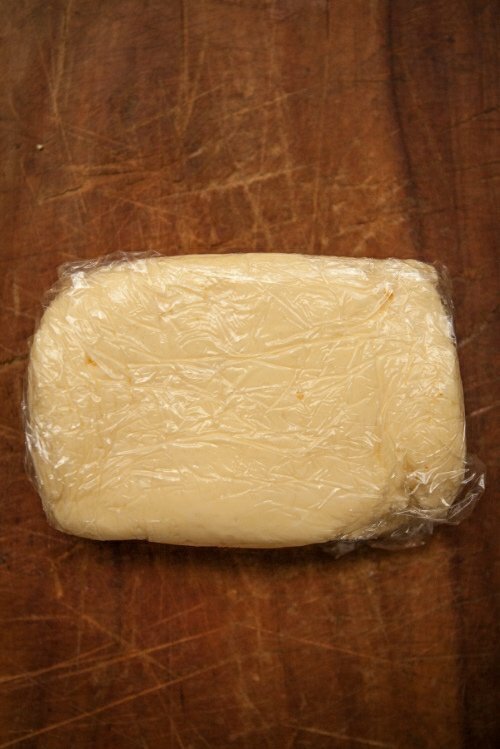 Lay a piece of plastic wrap on the counter and place the butter in the middle. Enclose the butter and shape it into a 4- by 3-inch (10 by 8cm) rectangle. Chill the butter for 20 to 30 minutes. 3. Unwrap the chilled rectangle of butter and place it in the center. Fold the flaps over the butter, sealing the butter completely, and whack the dough with a rolling pin to flatten it out. 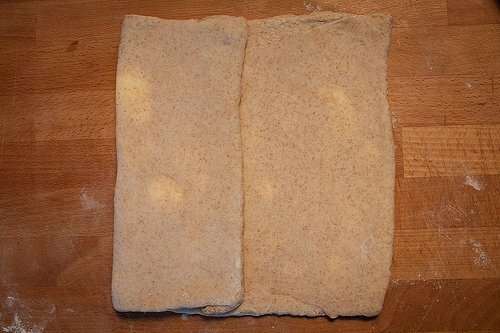 Roll the dough into a 12- by 9-inch (30 by 22cm) rectangle. 4. 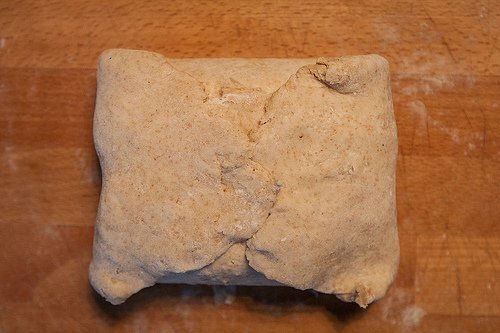 Lift up one-third of the left side of the dough and fold it over the center. 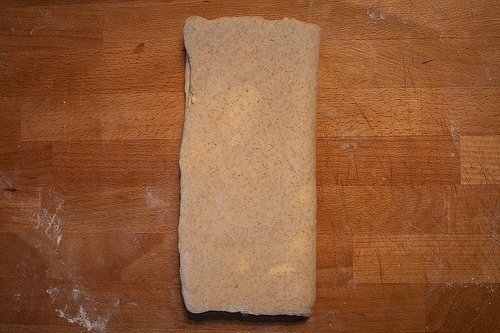 Then lift the right side of the dough over the center, to create a rectangle. 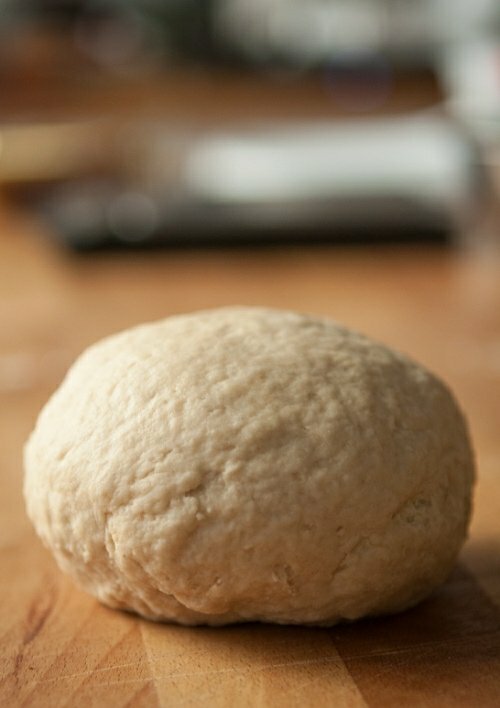 Take the rolling pin and press down on the dough two times, making an X across it. Mark the dough with one dimple with your finger to remind you that you’ve made one “turn”, wrap it in plastic wrap, and chill the dough for 45 to 60 minutes. 5. Do the next turn of the dough the same way, rolling and folding the dough again, making 2 dimples with your finger in the dough, then chill it for another 45 to 60 minutes. 9. Preheat the oven to 400ºF (200ºC.) Mix the egg with a pinch of salt and brush each croissant with the glaze. Bake the croissants for 5 minutes, then reduce the heat of the oven to 350ºF, and bake for 20 to 25 minutes, until browned. Some butter may seep out during baking, which is normal. – Normally I don’t specify “premium-style” products, but using a high-fat butter is a good idea. It’s sometimes labeled “European-style” butter in the United States. With a bit less water and more fat, it helps create flakier croissants. But using regular butter is just fine. – Bread flour is used because it is stronger and will yield a better structure. It’s available in well-stocked supermarkets, natural food stores, and online. You can also use all-purpose flour. – This recipe will work using all white flour. Replace the whole wheat flour with regular all-purpose flour. I’ve not used all whole wheat flour but there is a recipe here if you want to attempt it. – In France, I used T110 whole wheat flour, which is the equivalent of American whole wheat flour and will make croissants with a coarser texture. I’ve also made them with T90 flour as well, which has a less-earthy taste and is similar to whole wheat pastry flour. Whole wheat pastry flour will yield a lighter croissant, although with less whole wheat flavor. – I use active dry yeast, since that’s what I’m used to baking with. If you wish to use fresh yeast or instant yeast, check the manufacturer’s website for the correct conversions they recommend. – Brush off excess flour as you’re rolling. Too much flour will cause the croissants to be tough. 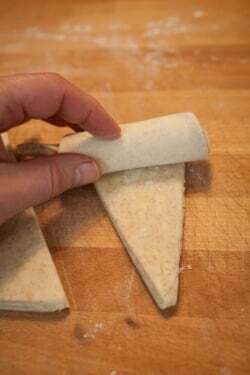 – After you roll the dough, as you are folding it in thirds, stretch it a bit to get the ends even. – Some bakers do 4 turns of the dough. I normally do 3. If you want to try 4 with this recipe, please let me know how they turn out. 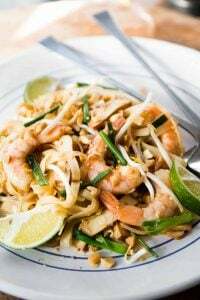 – You can easily double this recipe. If so, let the dough chill at least an hour between each turn. 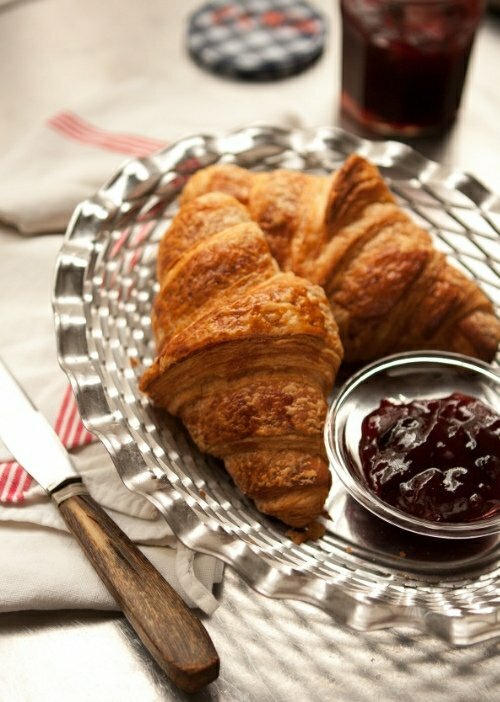 – Croissants are best eaten the day they’re made. If serving the next day, rewarm them in a low oven for about 10 minutes, until heated through. Once baked and cooled, croissants can be frozen in an air-tight bag for up to two months. These look delicious; baking croissants was part of my final exam at baking school! Unfortunately, I then turned to a ‘proper’ academic qualification, but making croissants is more fun than a phd…. In my experience, freezing before the final proofing and baking is also very convenient; then croissants can be defrosted, and given the final proof, so you can have freshly baked croissants all the time. I love croissants, and the only thing that stops me to make them every day is long preparations. 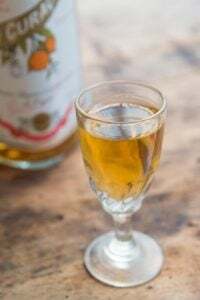 Amazing old school recipe. These croissants look amazing. And never once I my life did I say that about a whole weat pastry ! I’d be interested to know your opinion regarding the whole controversy about the croissant shape. As in, supposedly no one knows how to make proper, actually crescent-shaped (and not straight) croissants anymore. 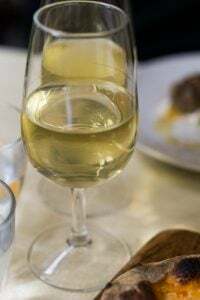 I’ve read several articles about it (the “c’était mieux avant” mentality is so powerful in France, especially when it comes to food !). And I couldn’t help but notice that yours are not crescent-shaped either (you blasphemous baker :P). I’ve never made a croissant before : is the straight shape easier to do ? I’d love to know ! Yum. My father would be so thrilled if I produced home made croissants for Christmas Day breakfast, so thanks very much for the freezing ahead tips. I am looking forward to eating the ‘practice’ croissants too! Always love your blog David – thanks for all your posts. Thanks for this! Have been curious about whole wheat croissants and craving croissants in general. Whenever I visit Geneva one of the first things I do is go to the local bakery for a croissant (white and/or multigrain). Yum. Thank you for your recipe and making it manageable for the home kitchen. I have always wondered if this was possible but never tried it. When I put duck fat into the dough for puff pastry I loved the result (regular butter for the folding mix) so I know you can change classics successfully. I think the whole wheat addition is marvelous — it stands up well to buttery goodness with its nuttiness. I’ve had a danish pastry made with spelt. I ate it, it was ok, not terrific. I’ll rather take my chances with classic croissants. Call me old-fashioned. I am a big fan of the wholewheat croissant. It does have a more nutty flavour. And I tell myself that it’s healthier. Deluded, I know. I grew up in Italy where the wholemeal croissant is ubiquitous (though, as you say, no one makes their own) – they call it broiche (which is a little confusing) and it is filled with a touch of apricot jam or honey. Delicious. Yes, in Italy I’ve seen savory croissants as well as in Germany. I’ve not seen them in Paris but someday, I was to tackle those, too. Thank you for offering us this whole wheat version! You are right – I don’t recall ever seeing a whole wheat one. If I ever work up the courage to make croissants from scratch, this will be it! I’m an inveterate baker, but have never made croissants. Now I am wondering why. I always assumed they were complicated and too much trouble, but you’ve got me reconsidering that. I like the idea of adding whole grain too. My favorites are the ones with chocolate in the middle, naturally, so I may have to make a few of those when I try this. I learned to make puff pastry in the summer, when the restaurant kitchen was really hot, and the person teaching me (at the time) said, “If you can make puff pastry in this weather, you can make it anytime.” Which was true. And I was making very large batches, rolling them all out by hand. Since this is a small batch, it’s pretty quick to roll out and manage. Give it a try! This is fantastic! I don’t think I’ve ever seen a whole wheat version of a croissant, but I know I would love to try one. I love anything with whole wheat, and am so curious as to how this unexpected flavor would be in a croissant. I’ll just have to work up the courage to make them myself! I am very, very intrigued by this, as I try to alternate between baking with all-purpose and some whole wheat. Mostly, I like the small yield. There is only so much I can bake in a 2-person household. It didn’t even occur to me that croissants could be made with wholemeal flour! I’ve started to eat a lot more wholemeal bread, and pasta and stuff like that and I’ve actually found I’m really starting enjoy the taste of it. I like the substance and the nuttiness it gives to baking as well. After making 175 apple turnovers for a fair this fall, I vowed never to look at pastry dough again. The vow was, of course, futile since, not only am I baker, but I also have a serious character flaw that compels me to try every recipe that tickles my fancy, as most of David’s recipes tend to do. So now, I come across whole wheat croissants and I am faced with a dilemma. I’m not sure how I feel about calling a pastry that’s made with more white flour than whole wheat flour, whole wheat. So do I try this recipe, which I am sure will be delicious but really, if it isn’t wholly whole wheat and I wasn’t rushing to make regular croissants. why would I make it? Or do I tackle the whole whole wheat recipe that even David was too faint of heart to attempt? And if I make one, should I really just make both to compare? Some might say I do this to myself but I am perfectly comfortable blaming David and his blog, thank you very much. , real butter tastes and smells fantastic. Shame I don`t have a pic…just love your great talent. Last summer in Paris, we participated in a food-focused walking tour of Marché Bastille and a stop at Blé Sucré. 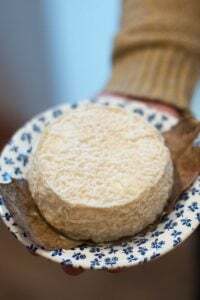 Our French guide told us that if the ends of the cosissant are turned down, it is made with butter. If the croissant is straight across it is made with magarine! She went on to say that most all of the croissant in Paris are made with margarine! J’étais horrifiée. David, is this fact or fiction? Croissant ordinaire, made with margarine or another fat, are usually curved whereas croissant au beurre (made with butter) are usually straight. A good portion of the bakeries make both kinds (and frankly, I don’t know why anyone would eat a croissant made with margarine, unless they were avoiding dairy) but although I don’t know it for a fact, I wouldn’t say that most of the croissants in Paris are made with margarine. But they are always noted with a sign in the bakeries which kind they are. Or they should be. That said, a number of bakeries buy frozen croissants and bake them off (Article and video, in French.) Because they are quite expensive to make, a few bakeries that do make them from scratch are starting to post notices in their windows that their croissants are made on the premises. Currently laws in France require that if a place is called a boulangerie, they have to make and bake their bread right there, but no such laws or designations exists for pastry shops. Marty : actually, it’s the other way around. Moon-crescent-shaped croissants are “ordinaires”, meaning with margarine. The straight ones are “croissants au beurre”, the good ones. This is, from what I can tell, relatively recent and very Parisian. Growing up in Paris, as a kid, the only visible difference between the two was the price. And in such large cities as Nantes (Britanny) and Nice (Riviera), they’ve never heard of that shaping custom. But no need to be horrified. Croissants ordinaires, with margarine, are traditional. Some people buy them because they’re cheaper. Others because butter is bad for their health. Either way, it’s not a scam nor a heresy. These look delicious, and the instructions look much more straightforward than the ones I got from my mother a few years ago (maybe because hers were given verbally, while neither of us had pen and paper handy…). I’ll have to give these a try next time I’m in the mood for some leisurely weekend baking! This is my first time to comment. First of all, thank you for all your informative, interesting, and fun posts. 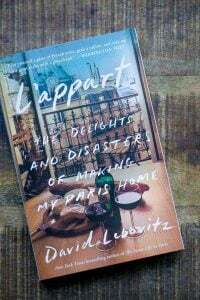 I enjoy seeing “David Lebovitz pop up in my inbox. It’s like a little waft of Parisian air in the springtime. I just want to say that normally if a recipe has the words “Day Two” in it I wouldn’t consider it but this one looks like one I absolutely must try. Fingers crossed… and I’ll let you know. Merci! I have been very curious about using whole wheat. I recently bought a bag of heritage red fife flour since hearing about how the hybrid wheat currently on the market has been getting lots of bad press. Do you or anyone else out there have any comments on using the red fife vs. hybrid wheat? I don’t know what a baking sheet is! Sorry. A great post – I’ve never heard of whole wheat croissants, so I’m thrilled to see this and so beautifully made. Can’t wait to try it! When making croissants I have been cheating a little. Instead of making a triangle I will roll out the dough into a rectangle. Then roll it like a jelly roll with different fillings. Cut the roll into muffin size and proof/bake off into a muffin tin. 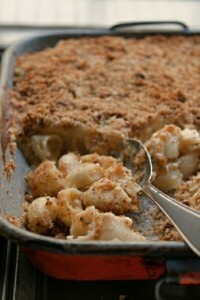 I usually add caramelized onions and cheddar cheese or Ham and mozzarella. Though Gruyere and bacon work well. Hi David! I’m so excited to try this recipe. My only question is how do you cover the baking sheet with a plastic bag in the 8th step? What kind of bag? Seems like it would be hard to cover a whole baking sheet with a bag! Wow! I thought I’d never see a bread recipe from you let alone a croissant recipe! That’s not fair..you’ve made other pastries that are yeast risen and you have said time and time again, why bother with a bakery down the avenue. I’m so glad to see that you didn’t start out by warning us about how tedious the process and difficult the laminated dough is to work. 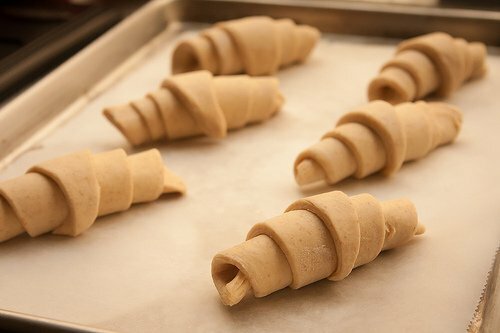 I’ve been so put off by most croissant and puff pastry recipes because of that, Obviously, it’s not the quickest, simplest pastry technique, but it is doable and shouldn’t be made to sound like it’s for professionals only when curious and dedicated bakers might like to give it a whirl without expecting such drama. Thanks for you tone on this one. Oh, David! I almost fainted when I saw that last photo of the flaky croissant broken open and waiting for a smear of butter. Your photo class really paid off with that one. Thank you for bringing joy to my morning(s). Making pastry in warm weather, shudder .. must have had a mean streak in him. Be thankful he didn’t ask you to try it after a summer rain storm, now that is just straight up impossible .. hahaha. For taste explosion try using lightly toasted rye flour instead of wholemeal or you can skip the toasting part if you don’t want a too earthy flavour. The single most important bit when making laminated pastries is that the rolling butter and dough need to have approx. same consistency/softness to mitigate tearing and the sticky mess that follows. Personally pound butter with some flour with pin when its time to roll and stop when it has met the softness criteria, easiest way I have found timing wise. Thank you for the recipe! I’m so used to whole grain that I find white stuff really bland now. Except baguette! 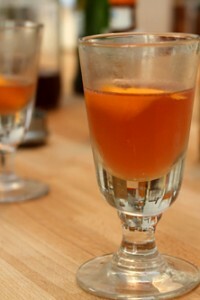 And what a great idea, making a small batch, or two small batches instead of one large one. Easier for novices to try out the technique. David, the link to the whole-wheat croissant recipe doesn’t work… can you fix it? Thanks! I just want to say how happy I am to see a post from you on this subject. I’ve been trying to work up the nerve to try out croissant for some time now, but my other sources are either unknowns or I’ve had inconsistent results with. So, I’ve been procrastibaking other things while I continue thinking about it. It’s so relieving to see a post on croissant from someone I am willing to trust with baking. Thank you! Judy, there’s a picture of a ‘baking sheet’ with the raw croissants on it all ready to go in the oven. It’s also known as a baking tray or cookie sheet. Flat metal thing you bake things on. I am honestly trying to explain but it’s hard to explain things you’ve never had to think about before – when I moved to the UK there were many baking terms that were different to what I was used to. I live my French life vicariously through you, David! I have always loved your posts (especially about sweets and France) and I’ve always wanted to try to make whole wheat croissants….Yay! I read through your recipe and it looks as though the recipe makes 18 croissants, but it says 6 at the top….Also, I tried the link the 100% whole wheat croissants, and it doesn’t appear to be working. Please forgive me if I am repeating what someone else wrote. Awesome!!! Once again we are thinking of the same things! 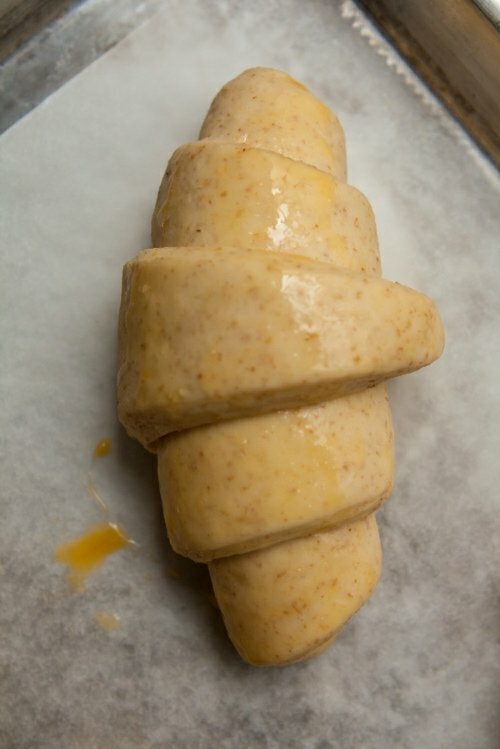 I have just spent the weekend looking to buy really good frozen croissant dough… without success. So I just may make this over this holiday season as a morning treat when we are all home. I am still able to taste the Paris croissants from last month… where I was wondering why I didn’t really see any whole wheat ones… I figured perhaps the flour was too heavy! About butter- have you seen the NY Times article this month on butter? Well, I just made some, and used the butter and buttermilk from the recipe to make biscuits… very very yummy! But I think if I am going to do croissants, I will buy some of the European butter. I know you can get the good stuff easily, but still fun all the same! I love croissants but do suffer from the guilt issue. 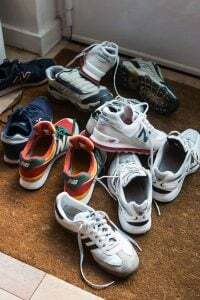 When I buy them I don’t think about it but if I made them. Wow! All the empty butter wrappers would remind me!! David, wonderful post. In all my obsessive bread baking, I haven’t actually given croissants a try but they are next on the list. One brief comment, not sure type 110 flour would equal 100% whole wheat flour in the states, but it’s close. Whole wheat would be closer to type 150 or complet. Thanks for the tidbit about the flour. I did try these with T80 (or T90), which I got from Poilâne bakery, which is kinda similar to US whole wheat pastry flour, but it’s stronger. You’re right about the T150 – do you know the equivalent of T110, or is there one in the US? Those are beautifully made. Croissant dough is also the not-so-secret secret for the best cinnamon buns. Whole wheat ones would be perfect! Oh dear, cinnamon buns, my downfall! Bet these heartier rolls make awesome crois-sandwiches, as per your mention the other day…! My favorite twist was from a cafe that broiled halved croissants smeared with cream cheese, brown sugar and strawberry slices – was so good. There’s aren’t a lot of whole-grain pastries in Paris; the natural foods stores sometimes have them, but they’re usually mass-made, sold in plastic bags, not fresh from a bakery. (You can get very good whole-grain breads at bakeries.) People have pretty fixed ideas about food, however with globalization, there are some mavericks starting to do things a little differently. And it’d be interesting if people started using buckwheat, whole-wheat and other grains in pastries, to tweak flavors. I made homemade croissants about a year ago now. They are a lot of work but definitely worth it. I love the nutty flavour that whole wheat adds so I might have to try this out next time I am craving some croissants! I also quite like the thought that no one can be certain where, e. g. the croissants, really come from. There are so many myths about food – but that’s the fun part about it, don’t you think!? I find it very intriguing to read and hear about the stories that always leave enough room for our imagination. Re the “iconic to Paris” thing: my favourite part of the movie “Team America: World Police” is that, if you look closely, the cobblestones in the Paris scenes are actually little croissants. I’ve made croissants in the past, but I think I will stick to my wonderful Paris-trained baker down the road. Not because these don’t look flaky, nutty, gorgeous and delicious, but because they look TOO flaky, nutty, gorgeous and delicious. If you can confront a freshly-baked tray of croissants and only eat one, David, I admire you deeply. I am not that person. Do you, David, or maybe a reader know how the bakers succeeded in rolling out the dough with layers of butter before refrigerators and ice factories? I’m guessing: marble tables, the kitchen in the cellar with no central heating. Oh la la, to be able to have warm croissants without leaving home. Not to mention that it will be fun to make them next week when I visit my foodie folks who, alas, live in an area sans proper croissants. Merci, David! I made whole wheat croissants about 30 years ago from a recipe in Sunset magazine. They were fantastic despite the time involved. I moved shortly after & lost the recipe. I’ve been meaning to try to do it again. Life is too short to wait another 30 years for them. I do enjoy your blog. Thank you for the inspiration. Wonderful. I’ve always been far too intimidated to attempt to make them myself, but you’ve definitely given me the confidence now. I’ve always love croissants. I grew up in New Zealand but have Swiss parents and growing up there was only one European bakery (French) in my whole town. I will never forget the smell of it when my mother would take me there as a small child. It was like a whole new world. Croissants were definitely one of my favourites. 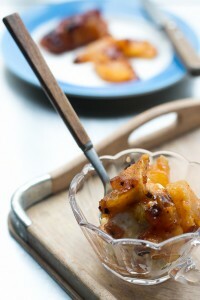 Hello David, am an an avid reader of your blog and enjoy it thoroughly :-) planning on making this over the weekend. I have a question, if I want to stuff them with chocolate…do I just put a piece in the middle before rolling them? After reading this post, I stopped to think if I had ever seen a whole wheat croissant in a bakery, and I don’t think I have. I love this idea and definitely want to try it out! So timely! I just told my daughter that when the weather cools down we will try our hands at making croissants together. Thank you for your detailed and careful instructions. Hello David. 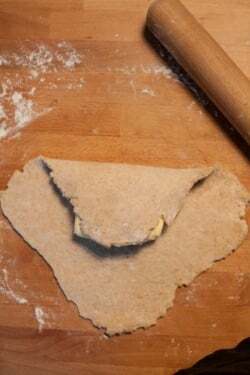 Would you mind posting the picture showing how you cut the prepared dough into triangles? I don’t see it in your post. Thank you for another terrific excuse to get in the kitchen and bake! There were too many photos – so I didn’t think I could get them all into the post (!) I added it to this page so you can see how they’re cut. Thanks. Also, I host photos on my Flickr page, including additional photos of recipes, so there are often more shots there as well. Whole wheat croissants – that’s a goodie! Though, I never use yeast when making puff pastry. I know that sometimes, especially for croissant and danishes, puff pastry is leavened with some yeast, but, to my mind, a good lamination is simply enough to make nice aerated puffy layers. However, it might be slightly different with whole-wheat flour?.. One way you can get close is to T110 is by using whole wheat flour but sifting out the larger bran particles with a sieve, but I wouldn’t worry about it, since in your recipe, you are blending whole wheat with bread flour anyway. In the US, the only place you can get flours close to T90, T110 or T120 are from specialty millers, like Anson Mills, Heartland, or Maine Grains or from places that supply bakers like Guisto’s or Central Milling. King Arthur sells them too but only in its commercial line. I haven’t found these flours in the supermarket. Thanks Sam. I never considered sifting American whole wheat flour to get rid of some of those bran particles to replicate the lighter French whole wheat flours. Interestingly, when I make bread with the T90, the flour is nearly white, but when baked, the interior of the bread is a lovely brown color. But when using whole wheat flour in conjunction with the white flour, it’s not a huge issue, as you mentioned. Appreciate your explanations for us! North American “whole wheat” flour is anything but “whole”. It’s merely white flour with a certain percentage of bran added back after it’s been taken out. To be “whole”, it would have to contain the germ, but then it would go rancid very quickly. The more finely ground the bran, the lighter the flour (in the sense of “less heavy”). In Mexico, where I had a small bakery business, I would make my own whole wheat flour by adding wheat bran and wheat germ to bread flour. It’s easy to add wheat germ to our baked goods to improve their nutritive value. Years ago, I attempted pain au chocolat and concluded that it is best left to the experts (not that a buttery, chocolatey, bready mess isn’t delicious…it just didn’t really resemble a croissant in any way). You have inspired me to give the croissant family another go! Help! Making my first attempt at this recipe – there is no dough, it is batter!! What went wrong?? Check to make sure you measured the ingredients correctly. It should be 2 cups flour (mixed) to 2/3 cups liquid (milk). 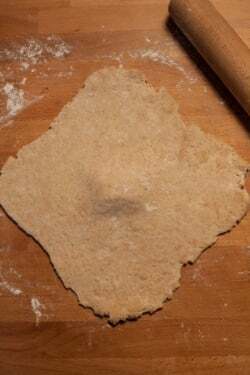 That should not produce a runny “batter” – but a dough, as shown in the picture. Those look amazing! Maybe it’s time I made croissants again- I’ve only tried it once, and the results were delicious, but they took so very long to make. (I’m an enthusiastic but slow baker.) Instead of freezing the baked croissants, you can also freeze the prepared triangles of dough in an airtight container separated by layers of wax paper. When you want to bake them, you take them out and let them defrost, then roll and proof them and bake them to have freshly baked croissants without quite so much preparation time. Plain croissants are incredible, of course, but they are also fantastic filled with a little bit of chocolate or some finely chopped almonds mixed with honey, which is an idea I borrowed from a local bakery. In the process of making them but using white flour for the first time. Thanks! I’ve been reading your blog for about 8 years and this is a post I’ve always wanted to see — thank you! I’m not really a baker (do roll out my own pasta though), but can’t wait to try these and share with family and friends. I love the part where you said “pulling out a baking sheet of fresh croissants is one of the few thrills in life.” Anytime I’m in the kitchen I feel that way….maybe I have the heart of a baker after all? It’s interesting how your recipe and what my instructor said were a bit different. She didn’t recommend bread flour, but to use cake flour with all purpose flour instead. I forgot what she said about it but I think it has something to do with the gluten and toughness. We didn’t learn to fold in the butter with a diamond shape either. We did a square fold. And also, on your recipe day 2, step 4 – she said not to fold it that way on the “turn” (to be exact, she said “if somebody told you to do the “book”, they don’t know what they’re talking about” lol). I wonder if doing different kind of turns make any differences at all. Hmmm…. I have La Technique by Jacques Pépin and he makes his croissants in that book by rolling the pastry into a big rectangle, placing slices of chilled butter in the center and folding over both sides at once toward the middle. Then folding the dough over again. I’ve not seen folks using cake flour for croissants – in fact, the Sur La Table baking book (The Art and Soul of Baking by Cindy Mushet) calls for all-purpose flour. I love baking croissants, do it regularly. I use a book fold as the middle one, then I always know what stage I have reached! Thanks David! My local Whole Foods sells whole wheat pastry flour in bulk and I typically substitute this in any recipe that calls for AP flour. Do you think this recipe would hold up as well? I had the good fortune to take a bread making class in Paris (École Supérieure de Cuisine Française Ferrandi) many years ago at the national school in a program sponsored by Robert Noah. I learned that curved crescents were made of margarine and strait ones were made with butter. I am now inspired to make some after reading all about this. Thanks for the inspiration! Thank you! 100 times, thank you. Your post was an inspiration. Had exactly 3/4c ww flour on hand, time to spare, and a very successful 1st go (at making any croissant from scratch ever). Your recipe is simple and easy to follow. The result was a pleased crowd, and photographic evidence. I chickened out just shy of the 4th turn, but will go for it on the next run and report back. Burning question: Have you ever tried with buckwheat flour? I love buckwheat flour but since it has no gluten, it would be hard to make a croissant using it. One may be able to make a croissant dough with all-purpose/bread flour, and a spoonful or two of buckwheat. But if you swapped out the whole wheat flour with buckwheat, I don’t think it would work. 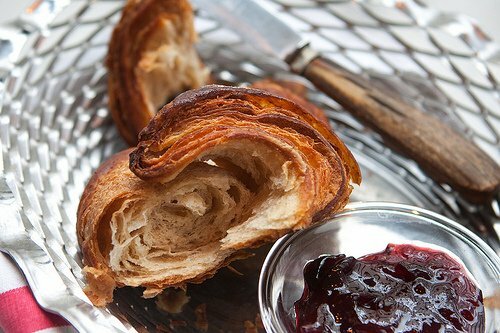 Have you ever tried the croissant recipe in Keller’s Bouchon Bakery cookbook? I’ve heard it’s excellent. Loving your photos. All that hard work you’ve put into your photography is paying off. It makes reading your posts even more enjoyable. Thanks. Yes, you could. I gave some thoughts here, at this comment. Good luck! I’ve read that it makes a big difference in making croissants to use European butter. What do you think? I gave some thoughts on that in the post, just underneath the recipe, in the Notes area. Thank you — also my favorite words in your post are where you say….”Making croissants isn’t difficult at all and if you can use a rolling pin, you can make croissants.” I always thought making croissants were terribly difficult so never attempted to make them. But I’m going to try your recipe…. This recipe is perfect. I just got back from a week long whole grains class at King Arthur Flour Baking School. It was one of my prizes for wining the National Festival of Bread Contest. It seems at KAB we baked everything from chocolate cake to 10 grain bread but somehow, we missed croissants. The only croissants I have made previously, are from Lydie Marshall’s cookbook. These looks great, so I am happy to add them to my winter baking plans. This is the first croissant recipe I’ve seen that I would actually consider making – you make it seem so straightforward and non-scary. The only other recipes that come to mind are really, really involved (I’m looking at you two, Rose Levy Beranbaum and Ann Hodgman). What type of chocolate would you recommend using for a pain au chocolat version? Semisweet, Bittersweet, Dark? Specific regions, Valrhona?Thanks! This is my first time in your blog and I am really surprised with your content, the pictures and recipes are very inspiring. Thank you a lot for sharing. I’m just an amateur cook but I love cooking in the same way that you. This is one of my last idea. I’ve been buying whole wheat croissants in the bakery next door (I live in Berlin) because I like the nutty flavor they have. But the pastry is not crispy and flaky like ‘normal’ croissants, I’ve always thought that it’s because of the whole wheat flour, but your recipe proves it wrong! I finally dared making croissants using your recipe – thanks for saying that “if you can use a rolling pin, you can make croissants” – and they were perfect!! I had it with blueberry jam I made this summer and I can’t stop thinking of having them again for breakfast… Thanks for this article and the recipe, David! By the way: Can you freeze the dough after it’s been rolled? I’ve actually had whole wheat croissants before (although I must admit they were frozen, but not parbaked; all I had to do was proof them for half an hour and they would go straight into the oven). They were delicious and sneakily healthy-tasting that eating just one was unthinkable. I’ve been wanting to try making whole wheat croissants (from scratch this time) although I can never seem to find whole wheat flour when I need it (here in the Philippines). I’ve heard I could get in the healthy foods stores, so I’ll try that. Thank you for this recipe! I really enjoy your blog and your work! I’ve been reading and loving your blog for probably two years now. I had returned from my first all-around-Europe trip and I needed some way to still experience the amazing sights and feelings of my time there. Now that I’m back in Winnipeg, Canada, I’m busy with university again, but I always look forward to reading your posts whenever I’ve finished cramming and writing my exams. I have a question about your banana bread/cake recipe, but it relates to whole-wheat-flour baking in general. The recipe calls for 1 1/2 cup all purpose flour, and I would like to substitute 1/2 cup whole wheat + 1 cup white flour. Should I also sift the whole wheat flour? Because when I did, a large part of the whole wheat flour (the germ?) remained in my sifter and I ended up with less than 1/2 cup whole wheat flour. Should I have measured it after sifting? Thank you, and I’m so grateful for your blog and all your work! You could certainly add more to make it 1/2-cup but I would just add the germ/hulls back to the mix. I’m confused. The recipe says it makes 6 croissants, but in the directions it says to divide into 3 rectangles and then cut each into 6, which means 18, no? Is this because you refer to three batches earlier in the article, and maybe the recipe is a hybrid of the single/expanded recipe, or did I miss something? We’re making them right now and will try the 18, because I think there’s too much dough for just 6… We’ll see! 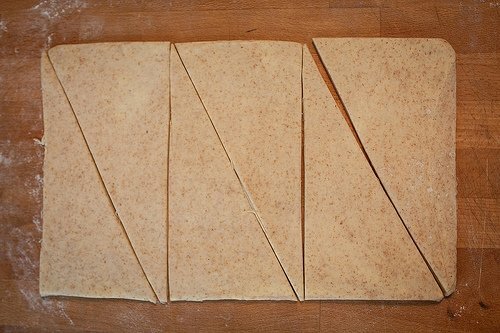 You cut the three rectangles in half, creating 6 triangles which will be rolled into croissants. The eighth photo in the post shows how to cut it correctly to get the 6.
my local grocery store just started to sell european-style butter, so this must be fate! i’ve only made croissants once (and failed to keep the butter cold so it didn’t turn out so pretty.) i’m excited to try your recipe! I prepared these on the weekend, and baked them Monday morning to bring into the office – everyone loved them! Thank you for such easy and concise directions! They turned out perfectly. It probably helped that I managed to get my hands on Kerrygold butter! First I was worried the dough was too stiff and thought I might have needed more liquid for the flours I used (German type 812 and German whole wheat). It took some strenght to roll out the dough each time but it held the butter in very nicely. And all turned out amazing in the end. Soft and oh so tender on the inside with beautiful layers. I’m for sure adding this recipe to my standard croissants recipe list! Glad you liked them! It’s a small amount of dough so hopefully it doesn’t take too much effort. Folks are welcome to double or increase the recipe, but I wanted to keep in the size indicated here so it wasn’t intimidating for people to make. Happy you had success! I baked these this morning. They were delicious! I had frozen the dough, thawed it overnight in the fridge and shaped the croissants this morning. When I pulled them out of the oven though, each one was sitting in a puddle of butter. Certainly, there was more than enough butter in them even with the butter that melted out. Did I do something wrong? Great recipe. I’m going to attempt to make these gluten free for my children who have celiac disease and have never had croissants. Hopefully the “cup 4 cup” flour will work. my butter seeped out while rolling, is that ok? Some butter seepage is normal when making croissants. If a lot came out, it’s likely that the butter warmed up too much during rolling – but they should still be fine. 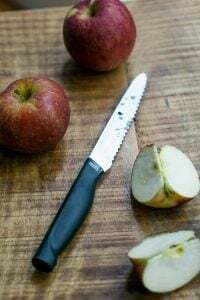 Hi David, thank you so much for posting this recipe! For the first time, I have made croissants that I’m actually happy with. I go away each summer (that’s Australian summer, due any day now) with some friends to a tiny town where not much of anything is available within walking distance. The ability to make croissants will DEFINITELY be a lifestyle improvement.